Bus resistors are great when you need a bunch of resistors of the same value. 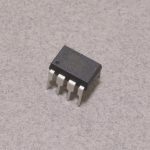 This specific model consists of 5 10K Ohm resistors in a single package with a common pin on terminal 6. SKU: ELC-024. Category: Resistors. Tags: Component, Light Packet, Resistor.